Start for Change 2015: building new humanitarian solutions together is the Start Network's annual gathering to celebrate success and debate the strategy for the year ahead. Our Annual Conference took place yesterday, which saw more than 200 of the world's leading humanitarians pack out Mary Ward House in London. 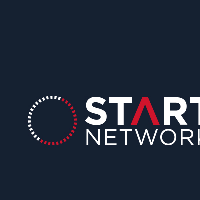 The day kicked off with the announcement that five new members have been invited to join the Start Network: Welthungerhilfe, Mercy Corps, Community World Service Asia, GOAL and Norwegian Refugee Council. Later that day attendees heard insights from NRC's Secretary General Jan Egeland and Community World Service Asia's Deputy Director, Allan Calma. There was celebration of Start's achievements over the past year, particularly in the areas of the Start Fund and Start Build, which are facilitating collaborative approaches to deliver better solutions for people in crises. Staff working on Fund and Build projects around the world shared videos describing the impact of their work, which provided Conference attendees with an insight into the difference Start is making on the ground. "The existing humanitarian financing system forces the hand of local NGOs, creating a culture of risk-aversion." Jing Pura, Christian Aid Philippines. The day featured two excellent panel discussions. The first, chaired by David Alexander, interim CEO of ActionAid UK, drew on experiences from other sectors to debate how the humanitarian sector needs to change. The panellists represented a diverse range of perspectives: Claire Bebbington from Petrofac described private sector experiences of partnering with NGOs; Guilio Quaggiotto from Nesta brought an innovation perspective; Dr. Mehmet Güllüoğlu explained the intersection of 'West' and 'East' approaches to humanitarian action in the work of the Turkish Red Crescent; Dr. Randolph Kent drew on his research at King's College London to call for a 'paradigm shift' in the humanitarian approach; and Jing Pura spoke about the realities of operating under the constraints of the current humanitarian business model responding to emergencies in the Philippines with Christian Aid. The second panel, chaired by Lola Gostelow, Start Network Trustee, focused on how humanitarian leaders have dealt with the day-to-day reality of change management. Gaurav Ray from Plan International spoke of the need for greater adaptiveness and flexibility to really work with crisis affected communities to shape and deliver aid. Allan Calma described the burden of familiarising his staff at Community World Service Asia with onerous donor requirements, and advocated for increased collaboration with donors. Aleema Shivji, CEO of Handicap International UK, shared her experiences of steering a small NGO into a highly adaptive humanitarian response agency, and recommended investment in leadership to encourage staff to think outside the box. Ed Francis, Programmes Director at Restless Development, shared a video from his agency's response to the Ebola crisis in Sierra Leone, in which they mobilised thousands of young people to lead community sensitisation. His contribution was to encourage NGOs to trust in youth voices to bring fresh and innovative approaches. Finally, Richard Miller, ex-CEO of ActionAid UK, now Humanitarian Director for ActionAid International, described overseeing his agency's transition from a centralised to a federated model. He said "A CEO in ActionAid won't find the levers of power, because we gave them away." He observed how the humanitarian sector still consistently underestimates local capacity, and that this transition, though necessary, was by no means easy. The lively debate that ensued was interrupted by a light commotion when a number of participants received a text message, seemingly from the year 2035. The text message read: START ALERT 2035: Massive flooding has struck the United Kingdom of England and Wales, affecting 1,450,000 households, primarily in London. This device, followed by a scenario planning exercise in which participants mapped out their response to this future crisis, forced the audience to think long term about how their agencies are going to change. The afternoon saw participants use this exercise to inform their contributions to a joint statement to the World Humanitarian Summit. As one of the agreed outputs of the day, a drafting committee took comments from the audience on a two page statement, which will be considered as part of the World Humanitarian Summit consultations. These comments will be refined by the drafting committee in the coming weeks and shared with delegates. The day closed with provocations from Doug Miller, Chairman of GlobeScan, and Lynette Nusbacher, Devil's Advocate at Nusbacher Associates. The former shared sobering insights gleaned from GlobeScan's international polling mechanism, which revealed that more than a third of people have little faith in our ability to avert future crises: a worrying statistic for a sector that depends on goodwill and a sense of responsibility. There was, however, a silver lining: Miller went on to describe how the NGO sector "has the trust of the public, in a distrustful yet trust-driven world." He explained that above governments and corporations, the NGO sector has the public's support to make positive change in an increasingly complex and polarised world. The last word of the day went to Lynette Nusbacher, who delivered a rousing challenge to the audience: all of these ideas and ambitions that have been discussed today will never be realised unless NGOs can align their strategies. She urged participants to go away and evangelise their CEOs around the idea that positive transformation will only be achieved if organisations can co-create a coherent narrative around their ways, ends and means. Together these speeches provided a stark but ultimately optimistic message: that NGOs can create a humanitarian system we want to see, if they capitalise smartly, quickly and collectively on the support available to them. A drinks reception ensued, where Start Network Director Sean Lowrie gave thanks to the participants, speakers, and organisers, and the Rt Hon Desmond Swayne TD MP, UK Minister of State for International Development, congratulated the Start Network on its achievements to date and shared his excitement on behalf of DFID about their continued partnership. The full report from the week, as well as photography and videos from the Annual Conference, will be available soon.